The bishop of St. Petersburg, Florida, has both slandered the Catholic Faith and completely misrepresented what the Church teaches about homosexuality and homosexuals. Bishop Robert Lynch of St. Petersburg wrote this incredible slander on the Catholic Faith in his diocesan blog after the brutal massacre in an Orlando nightclub. Second, sadly it is religion, including our own, which targets, mostly verbally, and also often breeds contempt for gays, lesbians and transgender people. Attacks today on LGBT men and women often plant the seed of contempt, then hatred, which can ultimately lead to violence. Note that Bishop Lynch does not say that “some Christians” or “some Catholics” target homosexuals for hate, but specifically that “it is religion, including our own..” that does so, which in this context can only mean the Catholic Church. Thus a bishop of the Catholic Church accuses his own religion of targeting homosexuals in such a way as to breed contempt for such people, which can lead to such violence. Of course, the bishop offers not a single shred of evidence that the Catholic Church targets homosexuals and breeds such contempt, not a single Church document, not a single article in some publication, not a single example of preaching such contempt. He seems to simply assume that this is all too well known to require any actual evidence, and so he blithely goes on to incite contempt for the Catholic religion and Catholics in general for being unconscionable bigots who hate homosexuals and breed contempt for such folks. This news story was carried in a number of news outlets, some with shock others with apparent glee. 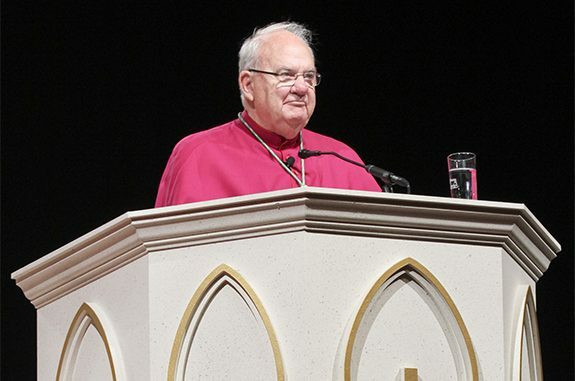 One commentator saw through the shallowness of the bishop’s charge when he wrote, “In his post, the bishop made no attempt to explain how a 29-year-old Muslim who never stepped foot in a Catholic Church would have been motivated to carry out his deed by a supposed Catholic ‘contempt’ for homosexuality.” In short, there is no conceivable link, and thus this was simply an opportunistic slam by the Bishop on his own religion. 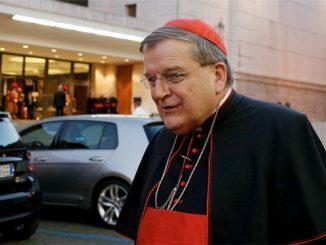 However, it is quite likely that the Bishop is referring precisely to the dual teaching of the Magisterium that not only are homosexual acts “intrinsically disordered” but that this sexual orientation is “objectively disordered” as that teaching which targets and “breeds contempt for gays, lesbians and transgender people.” Since he has given us no examples of other statements or teachings that breed contempt, it seems quite reasonable to suppose that this official teaching is precisely what he himself is openly targeting for contempt. The gay lobby, aggressively active in the Catholic Church, has long despised this teaching, and some bishops even tried to purge it during the recent Synod on the family. It is precisely their contention that it is this teaching that breeds hatred and contempt and thus must be eliminated. Now we have a bishop who seems to have come out publicly in this same direction. It is also interesting that back in 2002 this same Bishop Lynch was himself accused of sexually harassing a married, male employee on several occasions. The Diocese of St. Petersburg eventually paid out slightly more than $100,000 to the employee, but Lynch adamantly denied any guilt in the case. The St. Petersburg Times reported that “Lynch and his lawyer also insisted that the payment to Urbanski represented severance as Urbanski left his job—not a settlement or admission of the harassment claims.” Urbanski had complained that he was twice forced to share a room with Lynch when they traveled and that Lynch had made inappropriate advances toward him. Urbanski totally stood by his complaint and his assertion that Lynch harassed him. In normal circumstances, it would probably have to be proved that the person deliberately intended to “excite hatred of or contempt for religion or the Church.” But for a bishop, it would seem a sufficient crime simply to have published such a reckless and despicable attack on his own Church. Lynch should immediately resign, regardless, and not wait for his mandatory seventy-five resignation to be accepted by Rome. He has gravely calumniated the Church, and Rome should make that abundantly clear by quickly accepting his tendered resignation, should he choose not to resign immediately. Fr. Mark A. Pilon, a priest of the Diocese of Arlington, Virginia, received a Doctorate in Sacred Theology from Santa Croce University in Rome. He is a former Chair of Systematic Theology at Mount St. Mary Seminary, a former contributing editor of Triumph magazine, and a retired and visiting professor at the Notre Dame Graduate School of Christendom College. He writes regularly at littlemoretracts.wordpress.com.